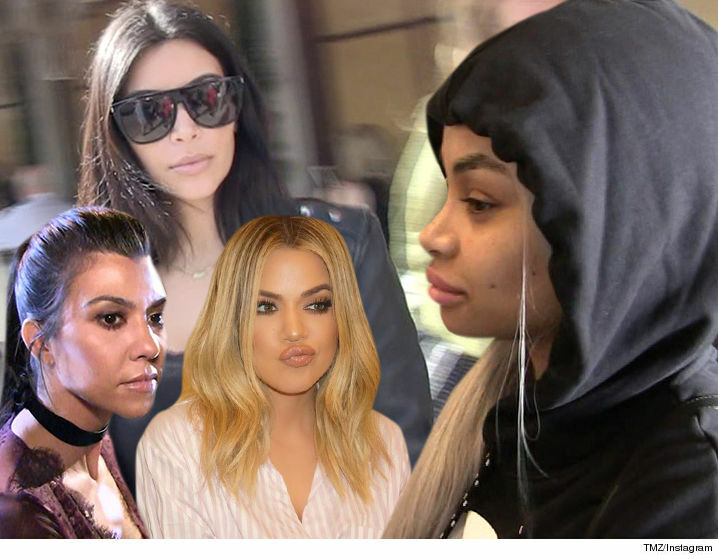 Kim, Khloe and KourtneyÂ Kardashian are sticking to their guns when it comes to stopping Blac ChynaÂ from the family name — and neither marriage nor their mom will change that. Sources close to the sisters tell us they will not withdraw their opposition to Chyna’s application to trademark “Angela Renee Kardashian” — despite Chyna’s side saying there’s no legal war brewing. On a personal level, we’re told everyone in the fam is getting along well with Chyna since the birth of Dream. Still, business is business and our sources say the sisters’ lawyers have made several attempts to negotiate … but Chyna’s team’s gone radio silent.